Dimensions: 10ft. 4in. x 12ft. 6in. 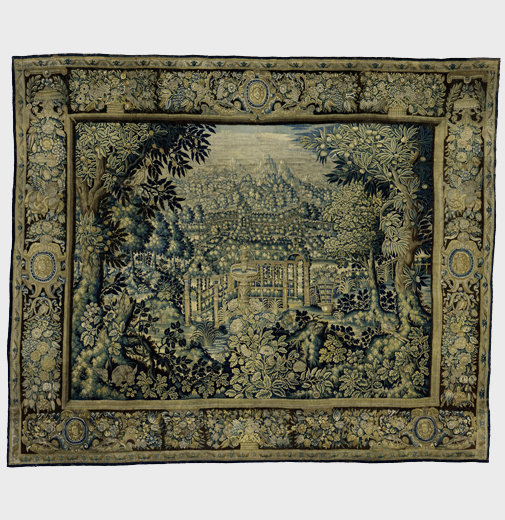 Though it is not known exactly when Verdure tapestries were first produced, examples decorated with lush trees and vegetation in a simple palette of beige, green, and blue grew immensely popular during the 17th century. This classic Verdure landscape is adorned with dense vegetation surrounding a fountain garden, pergola and distant hills in the background. 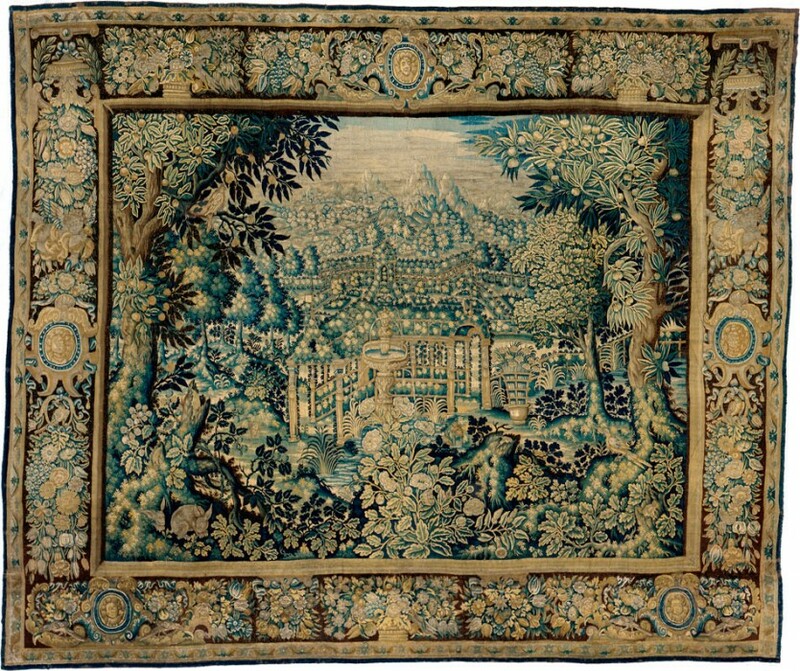 The luxuriant four-sided border features sculptural cartouches containing portraits, vases of flowers and angels floating amongst the bountiful fruit and floral pattern.